Carbo Power by Dr. Brockamp, For a high - performance musculature. Carbo Power, consists of 81% higher polysaccharides, which are extremely rich in energy and can be saved especially well in the musculature.On the basis of its high energy values. 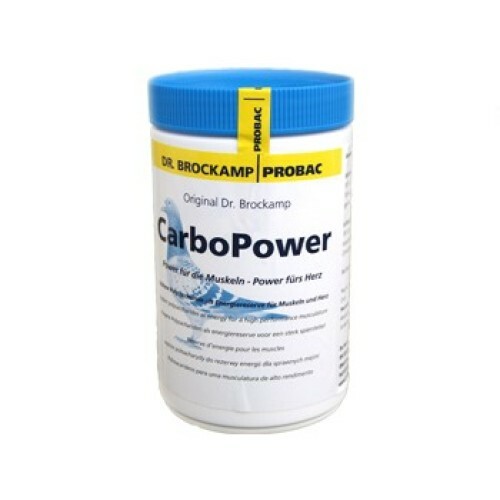 CarboPower probac should first be administered together with C-M-K for two days prior to a competition flight. Per 1 litre drinking water administer 10-15g CarboPower together with 10ML C-M-K per litre of drinking water for 25 pigeons per day.